What happens during an electrical inspection? An electrician in Melbourne reveals all! Home>What happens during an electrical inspection? An electrician in Melbourne reveals all! Saying that electrical inspections are important is pretty much beating a dead horse at this point. Of course, electricity is dangerous. Of course, you need to make sure that your home electrical systems are fit-for-purpose. But for all the talk about their importance, do you know what actually occurs during an electrical inspection? No? Well, worry not – today, our electricians in Melbourne explain what exactly happens during an electrical inspection in your home. Okay, so now you know when an electrical inspection becomes necessary. Of course, that still doesn’t answer the question of what exactly goes on! The vast majority of electrical inspections start by looking at your switchboard. It’s simple: electrical switches and fuses are the first line of defence in your home against electrical fires. When your circuits start overloading, your switches leap into action, cutting the flow of power and keeping you safe. As such, it’s no surprise that this is what we start with! We ensure your switches (and fuses if you live in an older home) are compliant with the building code. Why does your electrician inspect your insulation? Before you ask, no, we’re not talking about the stuff that sits in your ceilings and walls. Rather, we’re talking about electrical insulation! Electrical insulation protects you and your family by forming a barrier between live wires and you. However, over time insulators wear out – they can tear or degrade, leading to exposed wiring. 3) Is your home electrical wiring old or outdated? Good old fashioned wear-and-tear isn’t the only problem your wiring presents! Many older homes are wired in a way that’s just plain dangerous by today’s standards. In particular, knob-and-tube wiring is especially dangerous. Using this type of wiring, wires are completely uninsulated. They’re suspended between knobs – that’s it. No protective jacket around the wires. That means there’s nothing protecting you from electric shocks or your walls from house fires. If exposed wires may come into direct contact with plaster or skin, you’re in for a world of pain! Worried about your wiring? Click here to learn about other potential wiring problems. Each circuit is designed with a specific voltage in mind – this is the safest amount of electricity that particular circuit can handle. The problem is that many older homes weren’t design with today’s lifestyle in mind. We use a lot more power nowadays – frankly, many older homes simply don’t have the wiring to handle this! If your circuits are being pushed to their limits, you not only run the risk of degrading your wiring over time, but it’s just a pain to have to deal with constant interruptions to your power! Your electrician checks load capacity by looking at your switchboard. If needed, they’ll also look at every electrical appliance plugged into that particular circuit to determine what’s causing your outages. Everybody knows that electricity + water = a dangerous combination. What’s why outlets in “wet” areas of your house such as bathrooms and kitchens are fitted with extra safety features. While it’s advisable to install GFCI (ground fault circuit interrupters) outlets for all of your sockets, they’re especially important in rooms where water is present. Simply put, these devices are mini circuit-breakers integrated into individual power sockets. Instead of waiting for your switchboard to cut the flow of power, GFCI outlets kill the power right there. With how fast electricity moves, every second counts! Once everything is said and done, your sparkie will finish by providing you with a detailed inspection report. This report is much more than a checklist. It lists everything your electrician looked at during your inspection, as well as any recommended solutions. Many electricians (such as Briggs Electrical) will even attach a quote for prompt, on-the-spot fixes. Armed with this information, you’ll be able to make an informed decision about your next step. That isn’t the only important piece of information, however. Any self-respecting sparkie will use a standard form that includes their electrician license number and ABN. This gives you undeniable proof that your electrician knows their stuff! Has your home recently suffered through a major storm? 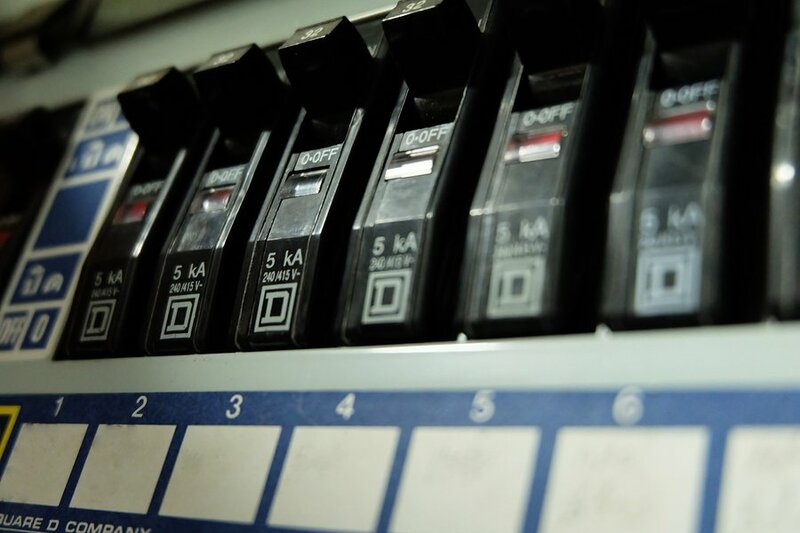 Are your circuit-breakers and fuses constantly triggering? Can you detect a persistent, worrisome burning smell? Whenever something goes wrong with your electricity, one of the first pieces of advice we offer is to organise an electrical inspection. Each of the above can be symptoms or cause of major problems in your home. And with electrical faults accounting for a quarter of all house fires, you won’t want to ignore these symptoms. That’s not the only time we recommend organising an electrical inspection, though. If you’ve just moved into a new property, we urge you to get it inspected. While the carpets and walls might look in good condition, you have no idea what it looks like under the hood. The pretty wallpapers might be hiding loose wires, overloaded circuits or worse! And for residents living in older houses, electrical inspections are a must. Electrical safety standards back in the day were much more lax than they are now. Not to mention, much of the electrical safety features we rely on today weren’t around back then. Some businesses like factories and cold storage businesses use up a lot of power. In many cases, equipment requires their own dedicated circuits to meet demand. Due to the insane levels of electricity involved, these heavy-duty circuits need frequent inspection. Not only does this protect you from disaster, but it also ensures you won’t experience any unexpected pauses in operations! For more information about when you should organise your next inspection, click here. Get in touch with an electrician in Melbourne! With more than 10 years experience throughout the electrical industry, you can trust Briggs Electrical with all of your electrical needs. Whether you’re moving into a new place or simply overdue for an inspection, lodge a job with our team of electricians, or call us anytime on 1300 300 222.